Hi Everyone! I'm so sorry it's been so long since I posted. As I said before, I have been mainly hanging out on Instagram. It's such a quick and easy way to share what I'm up to. I have been knitting a lot lately and teaching myself new techniques. Like making a sock from the toe-up and trying out a new heel - Fish lips Kiss Heel. It's been a challenge! I was not happy with the first sock I made. The yarn was all wrong, so I started over yesterday and I'm loving it! I'm so thankful to have great bosses that allow me to knit when it's not busy at work. I couldn't have asked for a better job! To see my knitting finishes for this year click here. I have been stitching a little bit too. I have been mainly working on Charlotte Clayton. I'm really close to a finish. I do plan to get back to it very soon! I'd love to get it finished and framed this year! 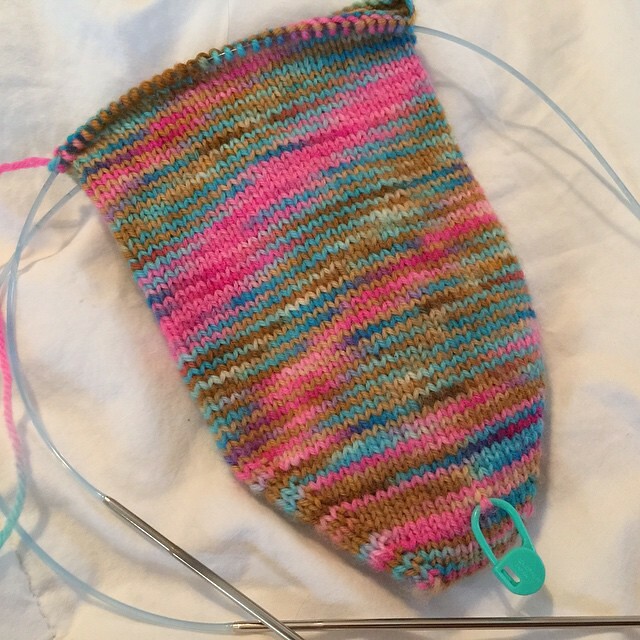 That yarn color on your new sock start is wonderful!! The names of the heels always crack me up -- especially the fish lips kiss. lol! I haven't tried sock knitting yet. Not sure if I will. Love Charlotte! 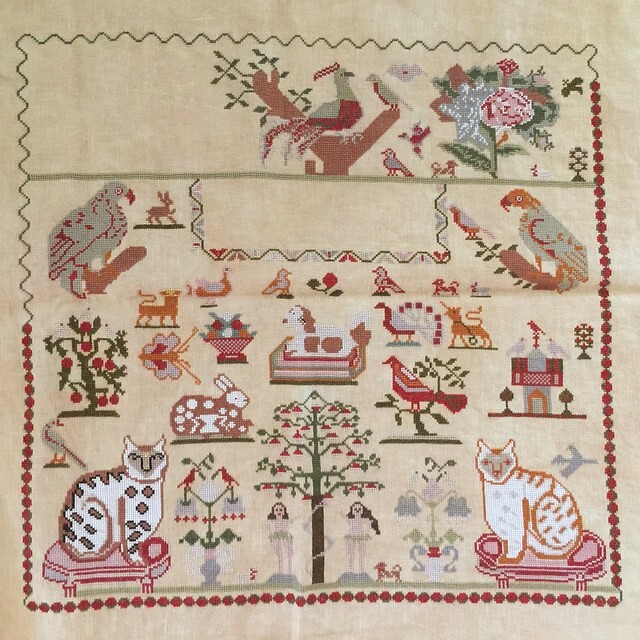 I need to get back to stitching. Good to see a post from you! I'm glad you like your job and have great bosses! Your sock looks wonderful! I want to try the FLKH too. 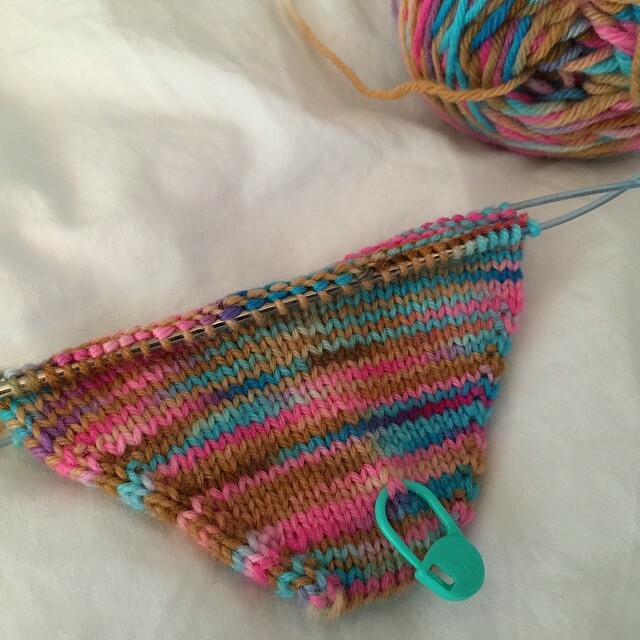 I seem to be a top down slip stitch heel. I have no doubt that you'll finish Charlotte this year and that she'll be hanging on your wall by the end of the year! love the sampler & you are so good at knitting - great socks ! !